It's the end of a fiscal year and the beginning of a lot of headaches. It's as if every part of your body screams "pay your taxes!" But hey, who has the time to sit down and crunch all those numbers? It gets even more difficult to manage them if you are always on the move. If you find yourself in a similar situation, don't worry. 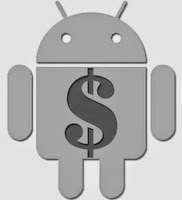 We have a list of Android apps you can use to help you manage your taxes no matter where you go. Before you start filing your taxes it is always a good idea to have some knowledge about tax regulations and tax codes. Instead of Googling for random codes and regulations, having a handbook ready by your side makes the tax filing a much easy affair. 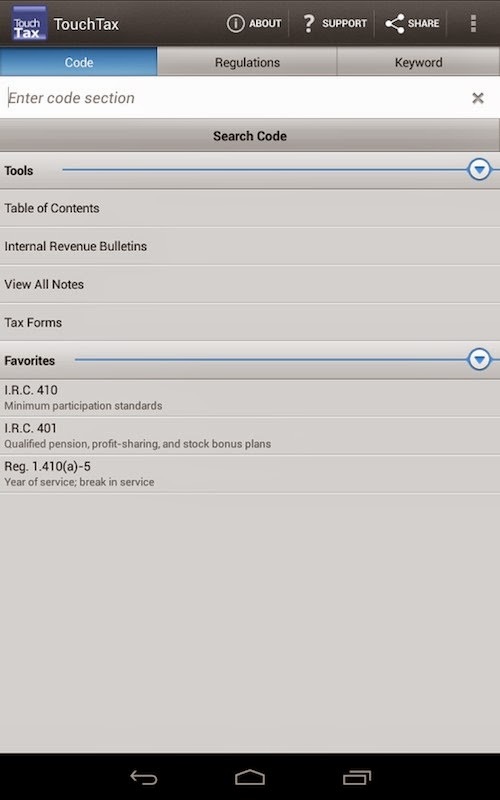 Tax Code and Regs is an app that contains complete reproductions of the official laws published by the Office of the Law Revision Counsel of the United States House of Representatives, the Treasury Department and the U.S. Government Printing Office. The app can more or less be used as a book with added features of searching and bookmarking. What's great about this application is that it is constantly updated according to the latest rules and regulations. So, if there are any major changes in the tax codes, simply updating the app will help you stay abreast of the revisions. You can read the codes in full-screen, change font size, and even take notes on particular topics thus making it a must-have app not just for regular tax filers but also for accountants who are in need of some good reference material. 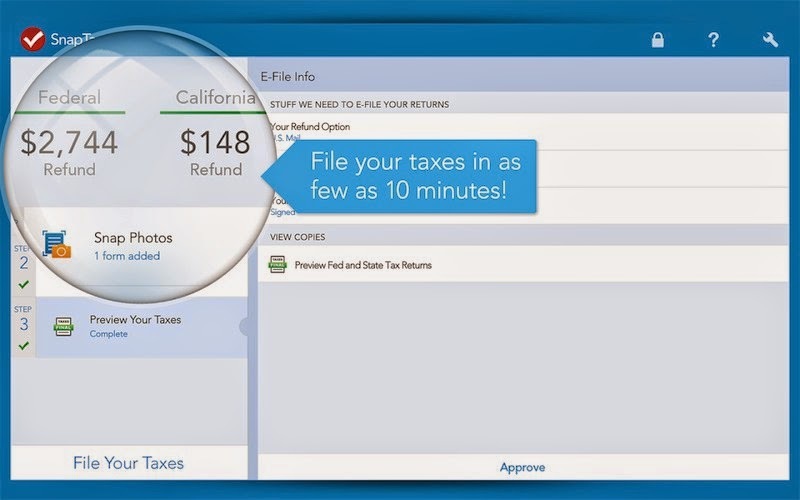 Perhaps the simplest app on the list, TurboTax SnapTax lets you e-file your tax returns by simply using a camera. 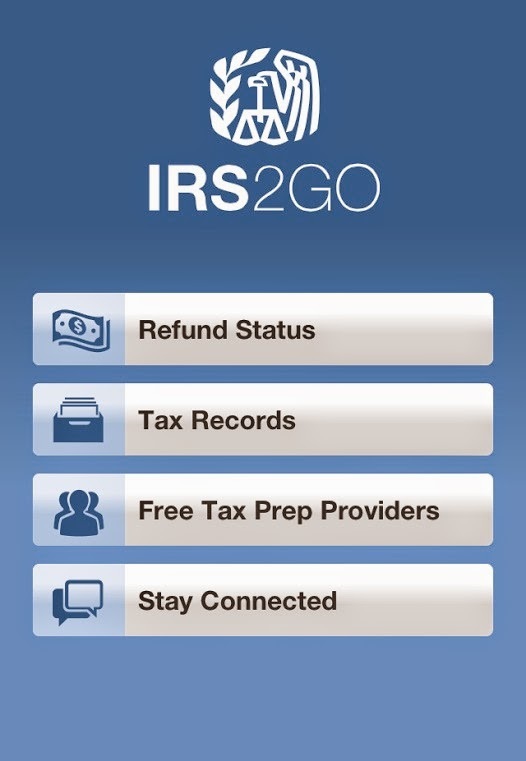 Simply install the app, upload a snap of your W-2, answer a few questions, and you are done. This is a perfect choice for people who travel a lot and have less time to file their taxes. If you are looking for something more intuitive then BNA Quick Tax Reference is your best bet. 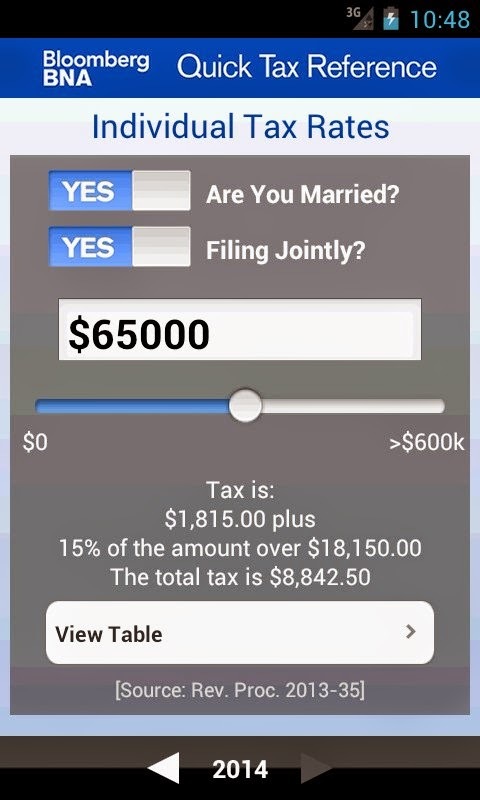 The app allows you to calculate your tax rates with just a few clicks. Be it corporate tax schedules or individual tax rate schedules, you just have to move the slider around, input your data, and you are done. The app also calculates standard mileage rates, income tax rates for real estates, and trusts or gift taxes. Much like the aforementioned Tax Code and Regs app, BNA too is regularly updated making it a great choice for your current fiscal planning. 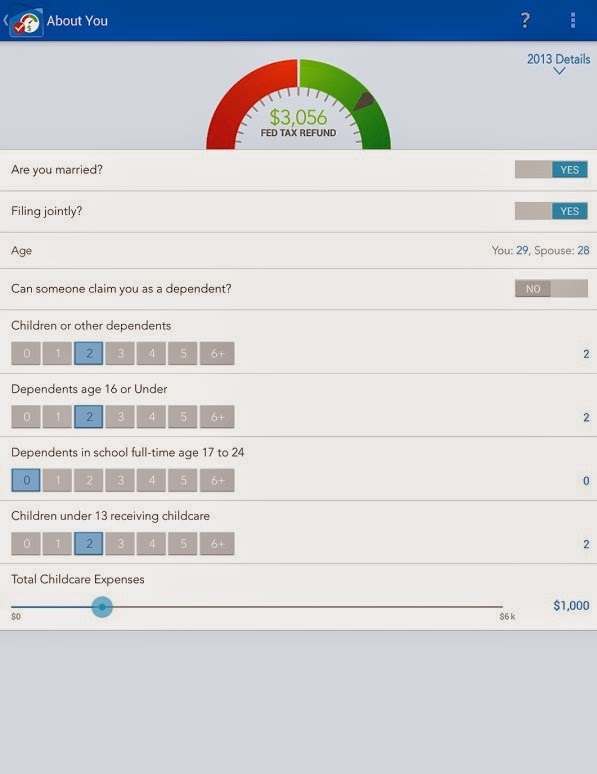 Want an even simpler app just to calculate your tax refund? TaxCaster might be your answer. This free app, once installed, asks you for some basic information. Then, after a few clicks, shows a quick chart about your federal tax refunds. The app is dead simple and is perfect if you are looking to calculate your tax refunds while on the move. This is the official app of IRS that helps users get a good idea about the status of their tax refunds. If you are a taxpayer, you can also get helpful tips directly to your phone. Overall, the app doesn't do much but it is still a must-have if you are in the process of managing your taxes on the go. While filing taxes on your own might work for some people, some of us always need a bit of help. 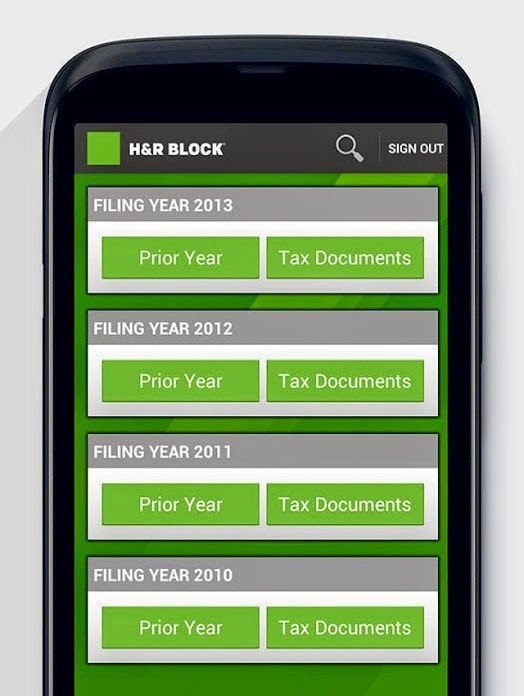 H&R Block is an application that comes in handy by providing you access to tax professionals who know how to ease the situation. Once installed, it can help you quickly estimate your tax refund. For those in need of outside help, the app shows you a list of H&R professionals nearby on a neat-looking map. From there, you can schedule an appointment in just a few clicks.